Jayne Mansfield was one of Hollywood's sexiest actresses. 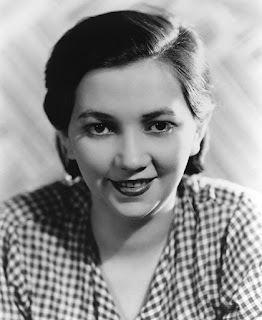 Although she loved being a star she said her favorite role was being a mother to her five children. On January 28, 1964 Jayne gave birth to her fourth child - a daughter named Mariska Hargitay. At the time she was married Mickey Hargitay, a former Mr. Universe. The couple had a rocky marriage and had separated in early 1963. The reunited a few months later and Jayne became pregnant with Mariska. 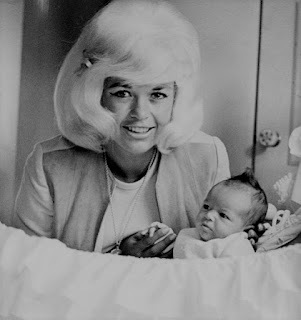 There are rumors that Nelson Sardelli, Jayne's lover, was Mariska's real father. Jayne was a wonderful mother who doted on all her children. 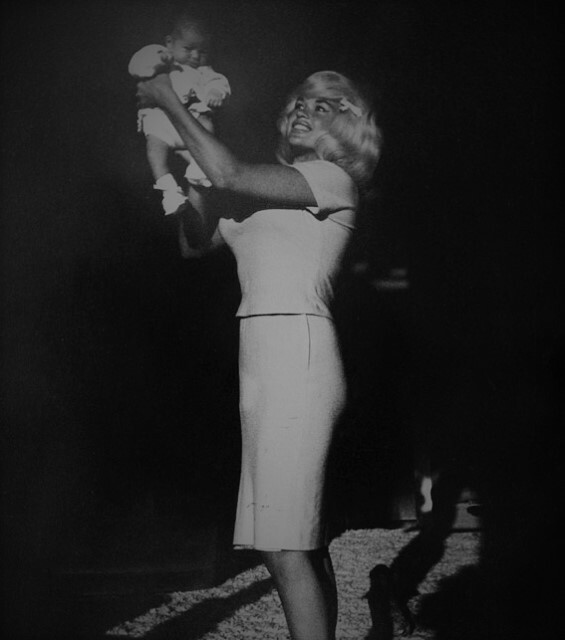 She threw them lavish birthday parties and the children always came with Jayne when she traveled. In 1966 two year old Mariska made her TV debut with mother on the Merv Griffin show. 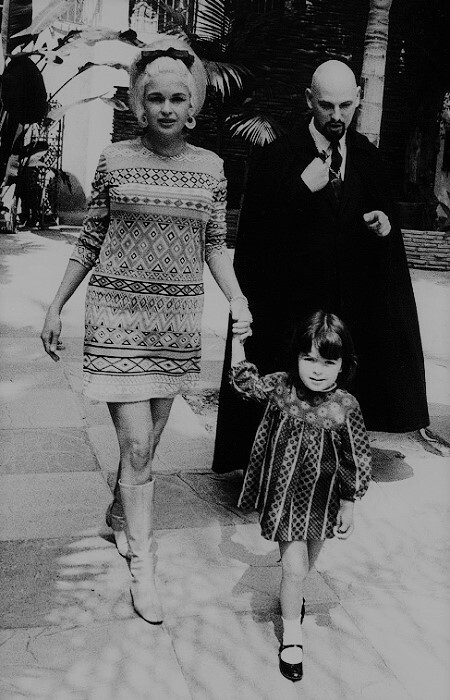 That same year Jayne and Mariska were photographed with Satanic cult leader Anton LaVey. Jayne was not really a Satanist but her manager convinced her to meet LaVey as a publicity stunt. 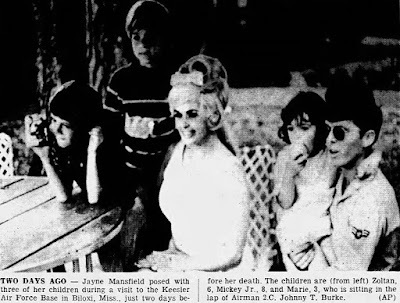 Tragically Jayne was killed in a car accident on June 29, 1967. Three of her children including Mariska were asleep in the backseat and survived the accident. After Jayne's death Mariska was raised by her father Mickey and his wife Ellen. Mariska followed in her mother's footsteps and became an actress. In 1999 she was cast as Detective Olivia Benson in the TV drama Law & Order: Special Victims Unit. The show made Mariska a star. She has won an Emmy, a Golden Globe, and was given a star on the Hollywood Walk Of Fame right next to Jayne's. 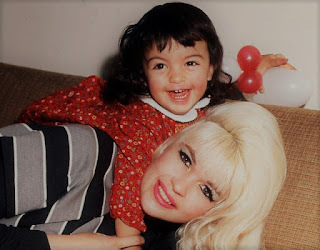 In an interview Mariska said "In some ways, being the daughter of a Hollywood icon has been a burden. I used to hate constant references to my mom because I wanted to be known for myself. Losing my mother at such a young age is the scar of my soul. But I feel like it ultimately made me into the person I am today. I understand the journey of life. I had to go through what I did to be here."